With the super busy schedule on a shoulder of a mom like me becoming frantic would most of the time forget to fix the family's menu for the day. 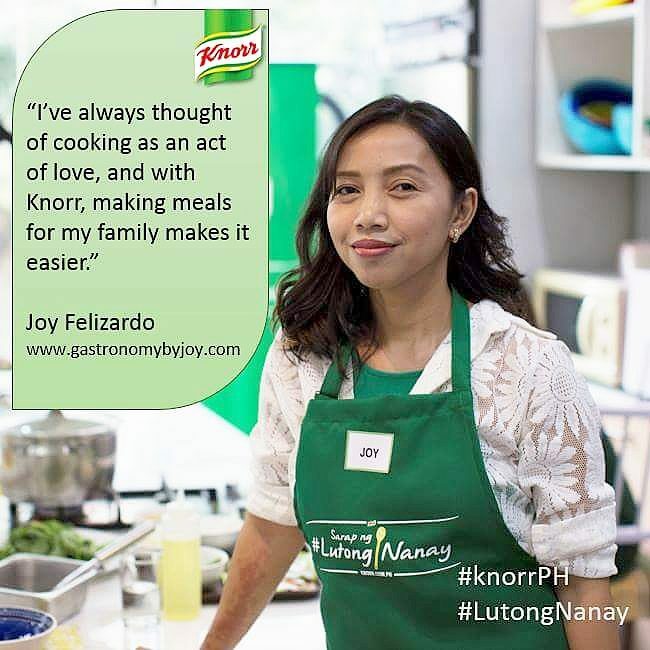 Since home-cooked meal is becoming a rare luxury for many due to loads of work, add to it the never ending household chores, many would prefer buying cooked meals form a corner "carinderia" or have pizzas deliver at home. But what if you want something else from the usual. Good thing there are reliable delivery services that could not only meliorate hunger pangs but also ply to every foodies' whims. One like twoanyone. 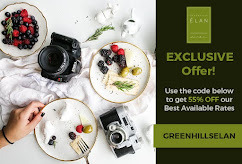 It is a website that allows you to order from all of the best restaurants online, without having to talk to anyone at the restaurant. This time I didn't know what to expect with the chosen restaurant. So I checked Facebook page of twoanyone, and Brew-kus. I've heard of a couple of musings about this restaurant also known to be a "the Bev-wich shop," but it never really crossed my mind trying it. Thought it would just be another deli shop. But when I chanced upon the picture on their timeline (the photo on the top) seeing the burger as succulent as the real one with all the trimmings, I said this might be a great opportunity to give it a try. Ordering is a breeze! You my opt to have your grubs ordered over the phone or online. To key out how easy I was able to prepare our dinner with only a cellphone at hand, I called the numbers 212-12-12, how can you go wrong with that. The agent on the other end of the phone will suggest several dishes or you may have her read the menu. So after having read the menu, I asked several questions about serving portions and what possible went with my chosen dish. After which, she had read all my order and gave the summed amount, she asked if I want it put on microwaveable container for an additional charge, but since the delivery will take only about 30 minutes to an hour, I assumed that the dishes would be delivered still hot. 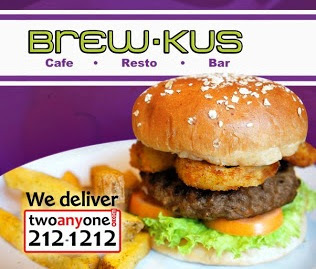 So here are what we tried from Brew-Kus' menu. Crisp Spinach Ravioli, for P180. 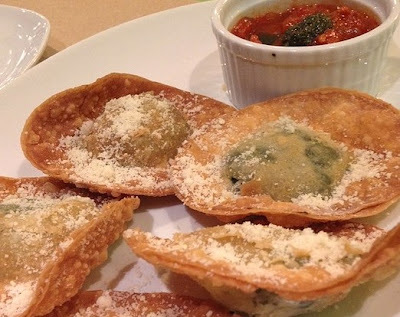 Fairly sized ravioli looking discs, which are deep fried wanton wrappers field with an amusing concoction of finely chopped spinach and special cream cheese. A small amount of marinara on meager plastic condiment container is packed with it. My kids had me order their Bruschetta Duo (P180). Since I had them try my own version of bruschetta, they have been always looking for that opportune moment to compare it with others claiming theirs is a better rendition. However, Brew-Kus stood up to be very unique in their take, taking it a notch higher with two different tapenade, the fresh cheese tapenade and kalamata olive tapenade for petitely sliced crusted crostinis. Having found out that it is a sandwich restaurant, being known as a bev-wich shop, I have to savor a few from that category. 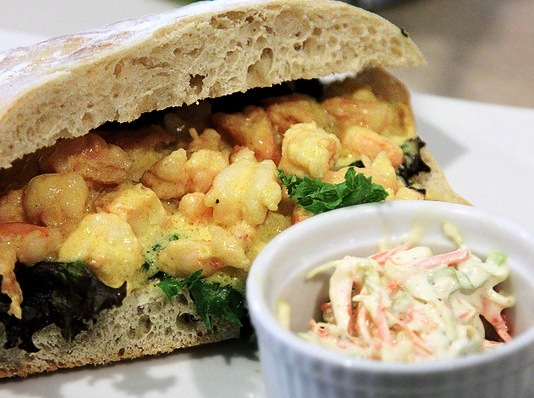 First off is Shrimply Loaded (P250.00). A succulent mixture of shrimps sauteed in garlic and asparagus, infused with rich blend of cream and Parmesan. I also chose Chicken Pico de Galo (P 250.00). A sub-sandwich brimming with grilled chicken chunks that's tender combined with a refreshing salsa of diced tomatoes, roasted pineapple and onions topped with melted cheese. How does Fish Fillet in Mango Beurre Blanc (P 250.00) sound to you? Gourmet? Stylish French? Many chef's would attest and would say that everything will be delicious if you put Buerre Blanc with it. I also agree to that. Traditionally, a beurre blanc, or white butter, consists of nearly equal parts white wine and good white wine vinegar reduced dramatically with shallot, held in emulsion with quite a lot of butter. Many modern variations exist employing any number of herbs and flavorings. Thus Mango Beurre Blanc with Brew-Kus. Cream Dory fillet pan seared to perfection topped off with a sweet mango puree reduction with a side of either steamed rice or mashed potatoes. So how do rate a dinner like that? Priceless! 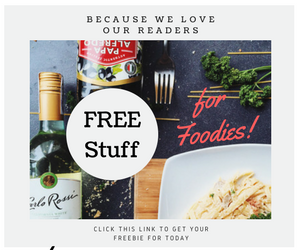 You made me one happy mom and foodie! 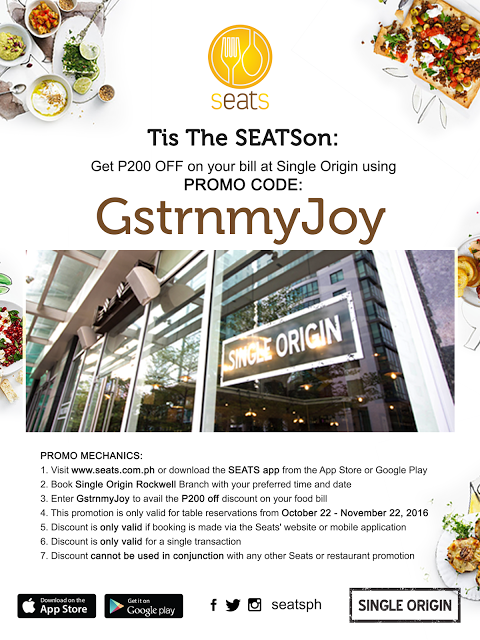 All your favorite food is just a click away with 212-12-12. We also have this type of app through which we can order food without talking to anyone on the telephone,named as Food Panda. Glad to see that you also have such services which deliver food at the doorstep hassle free!